Every digital artist has their own preference and opinion on this and at the end of the day, it comes down to personal choice. 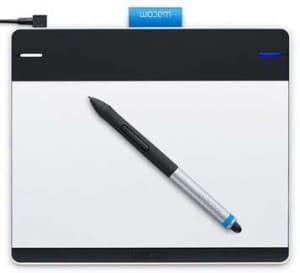 Should it be a direct pad where you draw directly onto the screen or indirect onto a pad that’s connected to the visual monitor? Graphics software can be an expensive ‘add-on’ so a bundled package with software could be an attractive proposition. 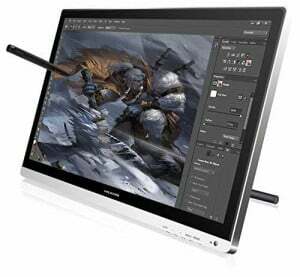 You may just be looking for your first graphics tablet or perhaps you have plenty of graphics experience and need an upgrade. 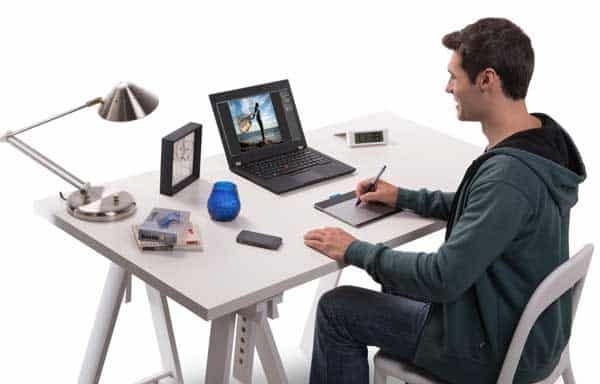 To help you we have five best buy drawing tablets in different categories so whatever you are looking for there will be one to suit your artistic talents and stay ahead of the game. The Huion 610PRO is a superb entry-level tablet both in design and build and exceeds the quality of several more expensive ‘branded’ names. Ideal for the graphics tablet novice as it’s a high quality, easy to use pad with superb pressure sensitivity that allows the pen to flow with effortless precision. 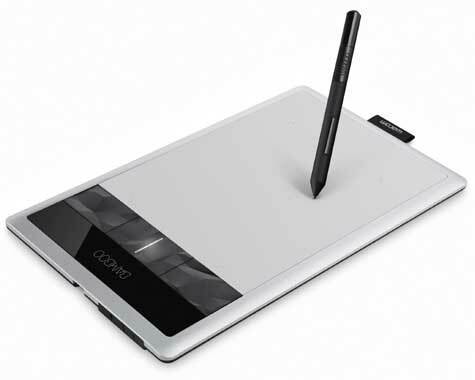 With a relatively large screen, it gives plenty of free drawing surface, which is an important feature for a first tablet user. You would think that the largest and most expensive of the incredible Cintiq range would be the obvious choice for this category but not so! The Wacom Cintiq 22HD wins hands down for a number of key points. The feel and realism when using this direct draw pad make it the closest experience to drawing o paper out of the range. It has express keys and easy to locate controls which are simple to customize so that you are not relying on the keyboard. This allows you concentrate on the drawing at hand without distraction. The screen has great luminosity and provides an excellent dynamic, and comfortable experience with the stylus that is both smooth and flowing. The large active area of the screen is more than ample and the fantastic pressure sensitivity allows for the most delicate stroke and line with pure precision. The Cintiq range is without doubt the best you can buy but comes at a cost. If you don’t want to invest that heavily and want a quality tablet with a decent sized screen the Huion GT-220 could be just what you are looking for. It will satisfy a new starter or experienced professional alike and provides an exceptional wide screen experience. The screen is key displaying exceptional tones and color making it a joy to draw on. We don’t normally recommend refurbished models but had to make an exception in this case. 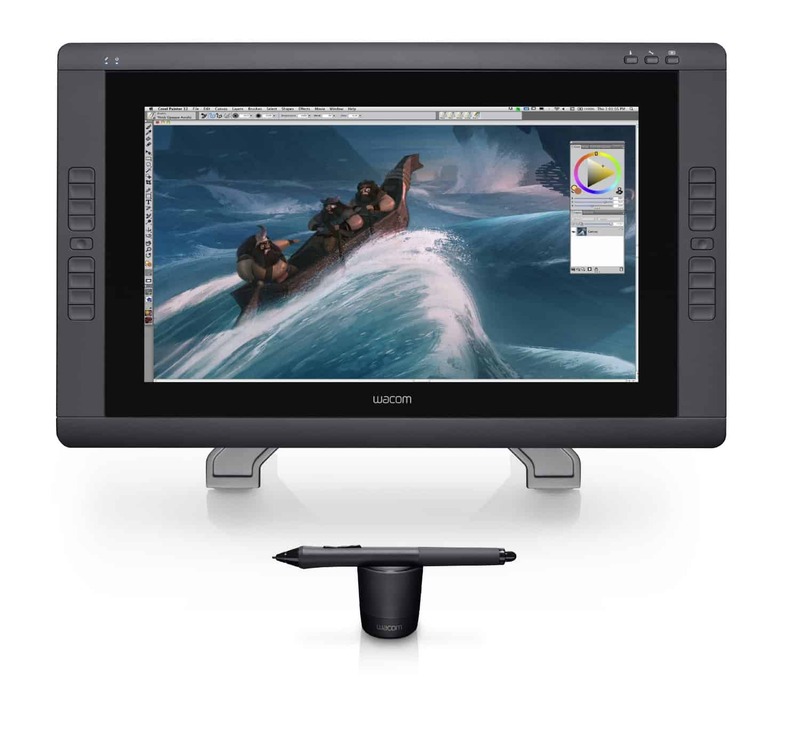 For under 50 bucks you can get a Wacom certified refurbishment of one of the best indirect draw tablets on the market. If you are on a tight budget, just starting out in the digital medium or want to buy a cheap quality second tablet this is one of the best tablets at this price. The certified model offers exactly the same high standard and configuration as the brand new product and comes with a full 12 months warranty. It is highly portable with a sleek design and has four customizable Express Keys that are used to create useful short cuts. The multi touch feature gives you the opportunity to use hand gestures as additional controls giving control to swipe, scroll, zoom and rotate. Having a quality software bundle included in the price makes the Wacom Intuos very attractive. The included downloadable creative software – Autodesk Sketchbook Express & ArtRage Studio is top-drawer stuff that would otherwise have been an unwelcome additional expense. 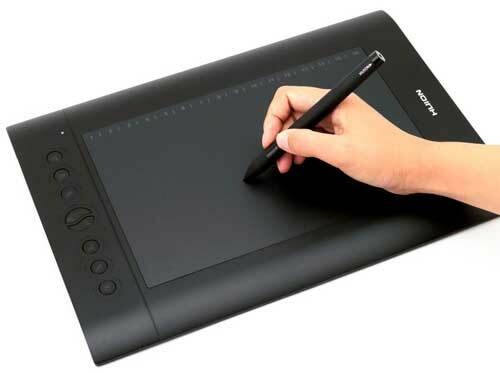 Putting the software aside this is an excellent drawing tablet that maintains the main features of the Bamboo capture. The pen is battery free with 1024 sensitivity levels that give left and right handed users a natural feel to sketch, draw, paint – in fact anything the software will let you do. There is also the multi gesture feature that allow your fingers to scroll, zoom and navigate your artwork. There are four fully customizable express keys to keep you in full control of your preferred actions. It is Mac and PC compatible and can be used with any graphics drawing software. The 8.3” x 7” active area is compact enough for small working areas but large enough to not feel artistically restricted. « 5 top graphics drawing tablets: $50 – $2000	» What are the best colored pencils for drawing?